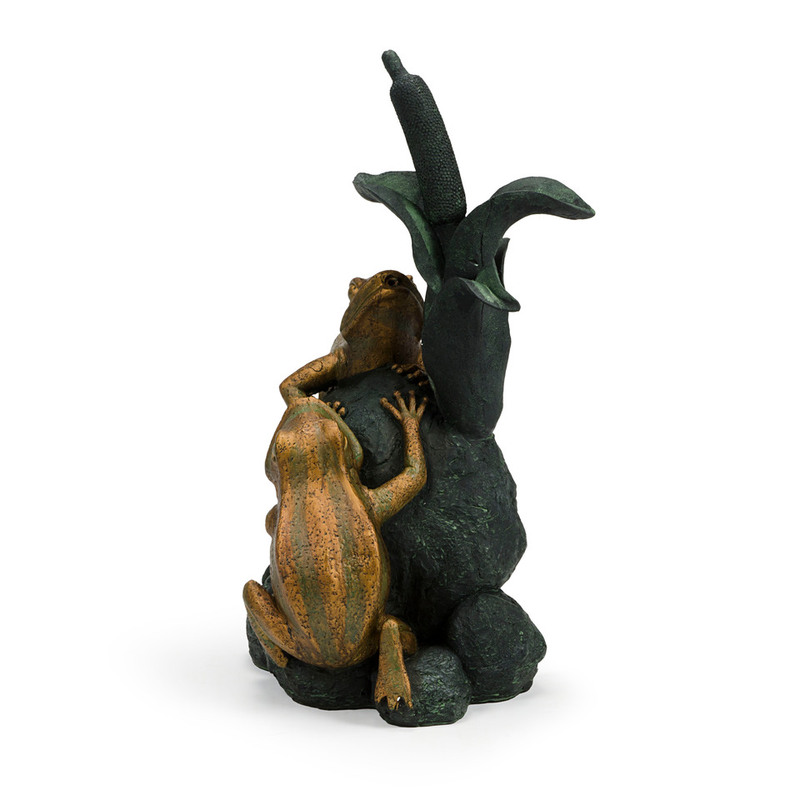 Double Frog with Cattail Spitter - Aquascape, Inc. 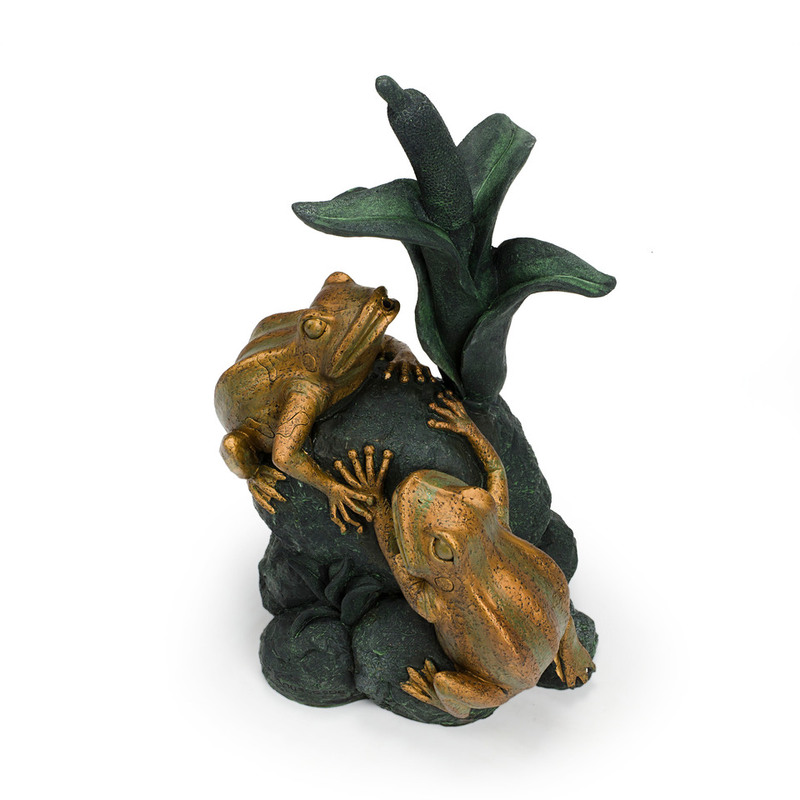 Enhance your pond or water feature with the impressive Aquascape Double Frog with Cattail Spitter. Made from high-quality poly-resin, Aquascape Spitters are light weight, easy to install, and resistant to UV and heat exposure. 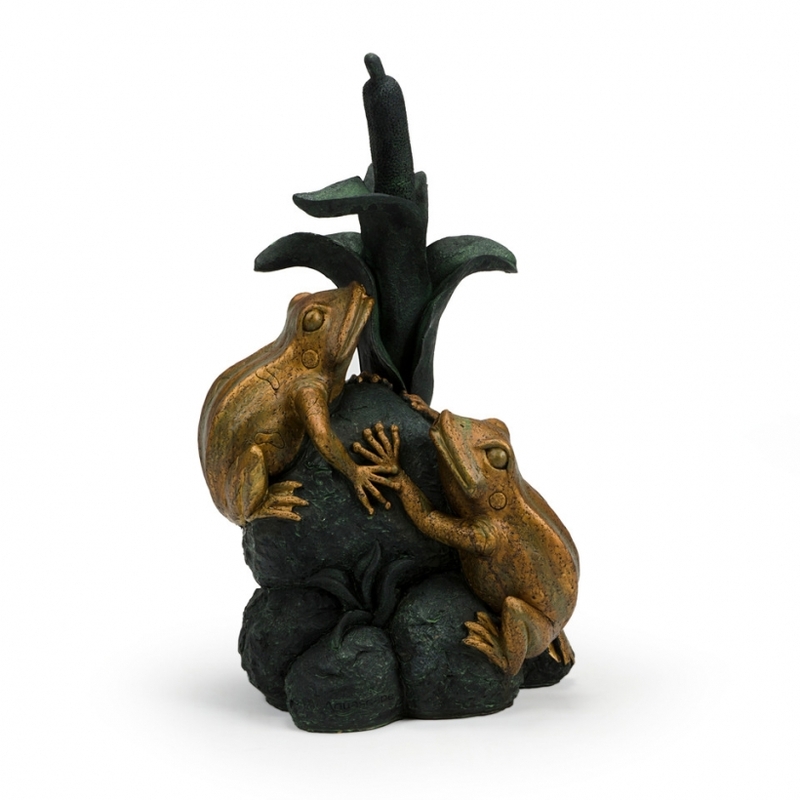 The Double Frog with Cattail Spitter encapsulates the texture, shape, and finish of real brass and stone at a fraction of the cost. Fountain measures 10 inches long and 18 inches high. Aquascape is passionate about the products we produce, providing unique products, designs, and features that stand above the competition.